Maria brings seven years of professional experience to her clients. Maria is committed to improving product quality, safety, and innovation by enabling seamless data migration, strategic PLM implementation, and best-of-class digital product development. Maria's experience at Kalypso includes serving the Food & Beverage, Retail, and Medical Device industries, giving her a comprehensive understanding of PLM and digital product creation implementation. She is also heavily involved in the Kalypso Internship Program (KIP for short! ), which provides up-and-coming Kalypsonians with an opportunity to experience digital innovation consulting prior to joining the Kalypso team. At home in Salt Lake City, Maria is an avid trail runner, dedicated dog mom, and burgeoning wine & scotch collector. She and her partner also enjoy traveling the world in search of great food, hikes, and adventure. 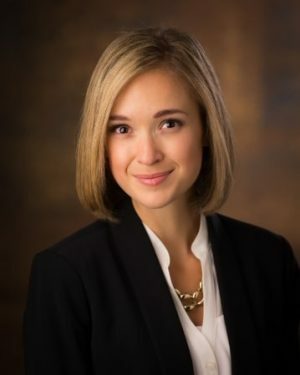 Prior to joining Kalypso, Maria graduated from Brigham Young University with a Bachelor's Degree in Psychology and from the University of Utah with a Master's Degree in Business. Her education has enabled her to understand the human and system requirements for enterprise transformation.